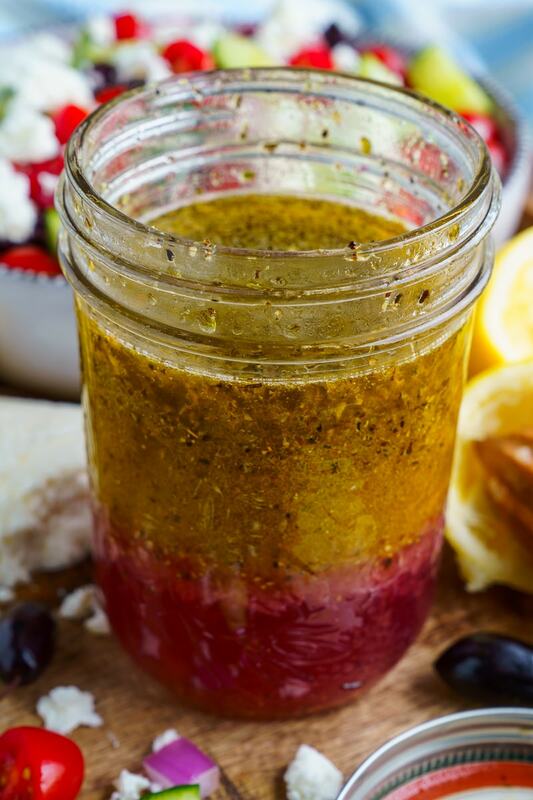 A quick, easy and tasty homemade Greek style salad dressing! 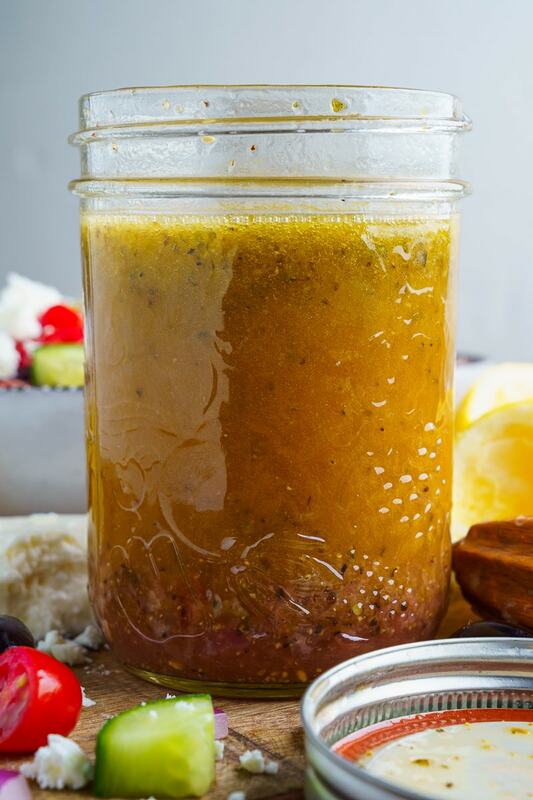 Homemade salad dressing are so easy to make and so much better than store bought! 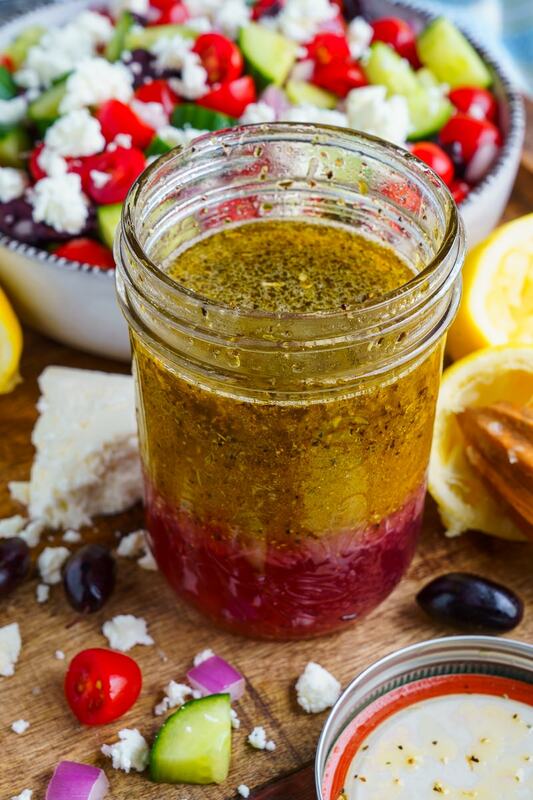 This homemade Greek style salad dressing is one of my go-to dressing recipes that I find myself making all the time. It’s basically a simple combination of olive oil, red wine vinegar and/or lemon juice with oregano, garlic, salt and pepper. (I usually throw in a little dijon mustard to help with emulsification.) All said and done it takes less than 5 minutes to make this dressing and you can make it to you own tastes! 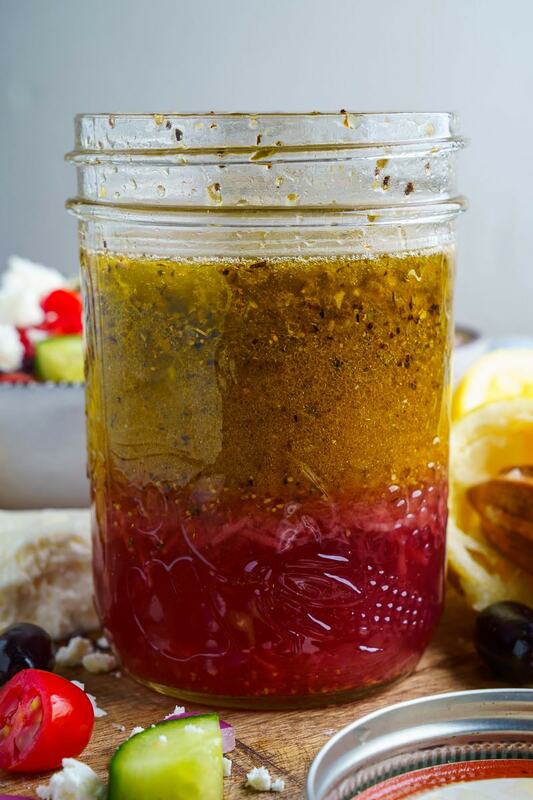 If you like your vinaigrettes tangy, increase the vinegar/lemon juice to oil ratio and if you prefer less, reduce it. You can control exactly how much salt is in the dressing and you know what all of the ingredients are! Make this dressing ahead of time and store it in a sealed container in the fridge, shaking it before you serve. Mix everything and enjoy tossed with a salad! Note: Store in a sealed container in the fridge for up to a week. Shake to mix before using. Option: Add a touch of sweetness with honey to balance out the tartness of the dressing. Totally trying this tonight with our salad side dish! So good!! You seriously take the most amazing pics of your food!! I always get hungry after looking at your blog!! Recipe for white cookies made with cream cheese and cake mix please. Now I basically call that a French vinaigrette which I have been making for years since I was taught to do so by a Frenchwoman maybe 60 years ago.